3301 West Davis St, "A"
We pride ourselves on how great our food tastes and how we serve our customers day in and day out. You’ll find that we stand out from the crowd by not only our great-tasting dishes, but our friendly, family-oriented service. Stop by and grab a bite or just say ‘hello’. We’re always here to put a smile on your face and great food in your tummy! We are now open for breakfast every Sunday at 8:00 am. Our delicious breakfast menu has the perfect meal for the whole family. 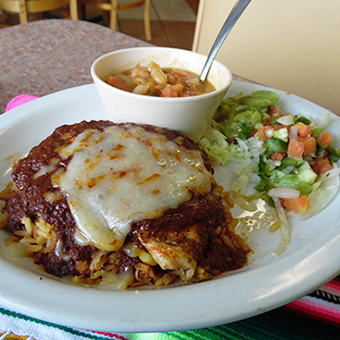 Our large menu is filled with truly authentic dishes that are always cooked fresh. Come in and taste the difference. 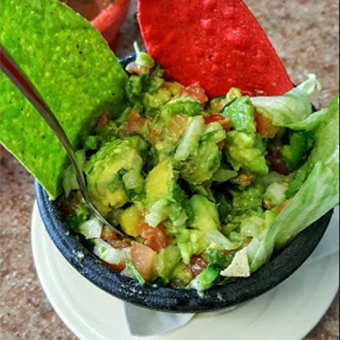 Carlos and his family want to share their passion for fresh, authentic Mexican food with you and yours. 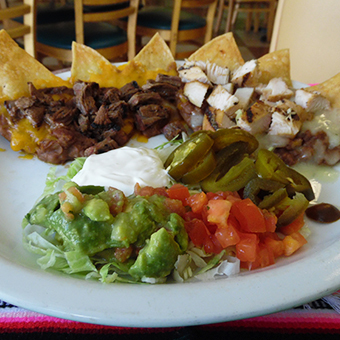 Rana’s Mexican Grill is conveniently located on West Davis St, across the street from Conroe High School. Hosting an event? Let us do the cooking for you. We have party packs that are sure to please any crowd. Plus we deliver! Call today to find out more. We now offer gift cards! A Rana’s card is the perfect gift for any occasion.